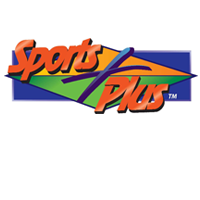 10 minutes Preparation – pick up skates from Skate Rental Counter, size and lace, put on clothing, including mittens, coats, and head protection for class. 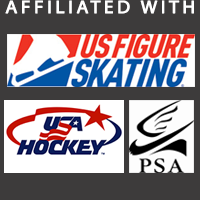 25 minute On-ice Skill Lesson – Get on and off the ice safely, Safely fall and recover, March in place, March forward, Shave to a stop, Two foot hop in place, Rocking Horse. Fee: $8 per person, same age siblings are welcome, fees to be collected by Troop Leader and paid cash/check no later than 7 days prior to lesson date. When: Contact the Director@SkateCincinnati.org to reserve your Troop date on the ice with us. That’s Not All: Each participate will receive a completion certificate and an invitation to another FREE Lesson to give to a friend or sibling. Skate Rental Included: Please provide a list of names and skate sizes. We will have the skates ready for your arrival. What Should Girl Scouts Wear to the Lesson? : Wear lots of layers – a shirt, sweatshirt, jacket, mittens or gloves are a must, headband or hat, ski pants, and an All Sport Helmet is strongly recommended for beginners (purchased at Discount Department Stores). 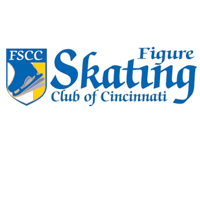 To Register a Troop Please read How To Get Started Look at the calendar and choose several preferred dates, then write Director@SkateCincinnati.org or call 513.512.3361.